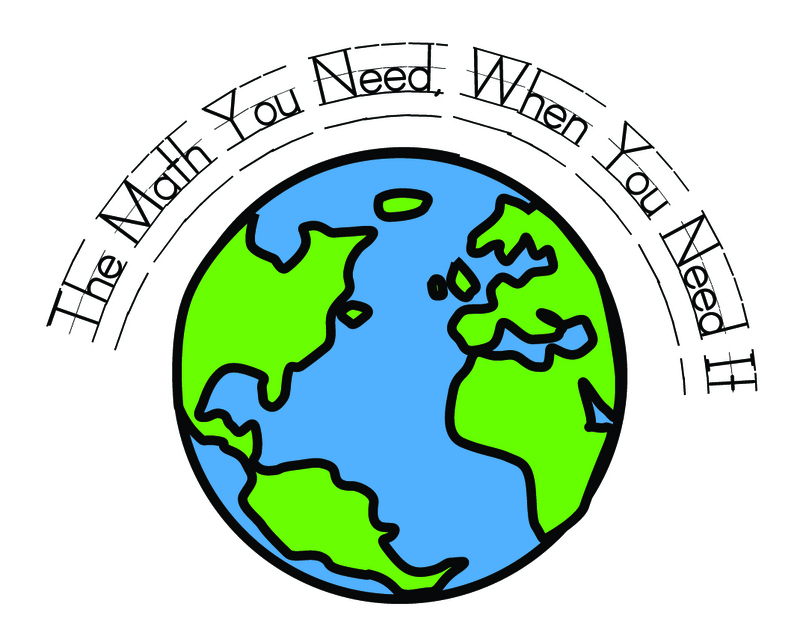 What is The Math You Need, When You Need It? 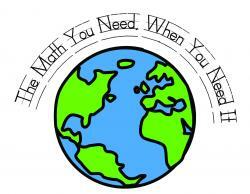 You're probably here because you want help with math in your geoscience class. You've come to the right place! If you've landed here, you were probably searching for something having to do with a mathematical topic, perhaps one in the geosciences. 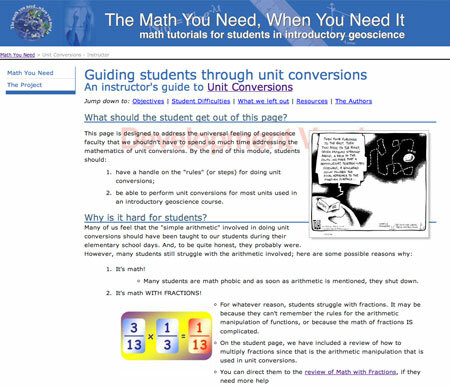 The Math You Need, When You Need It provides web modules to help students succeed with mathematics in introductory geoscience classes. Recent studies show that these tools help to "level the playing field" by supporting you in learning and reviewing mathematical skills. If you need some help with math in geology (or even other sciences), you've come to the right place! (optional) a set of quiz questions that provide an opportunity to show what you learned. If your instructor uses this part of the website, you will be provided with a login and password by your instructor. There is also a single page for the instructor that gives information about what we do not cover in the page and some insight into why a given topic is hard for students. What mathematical topics can I find here? We've designed the pages to touch on topics that occur in a wide variety of geoscience courses. Many will be revisited more than once. Disclaimer:Any opinions, findings, and conclusions or recommendations expressed in this material are those of the author(s) and do not necessarily reflect the views of the NSF.